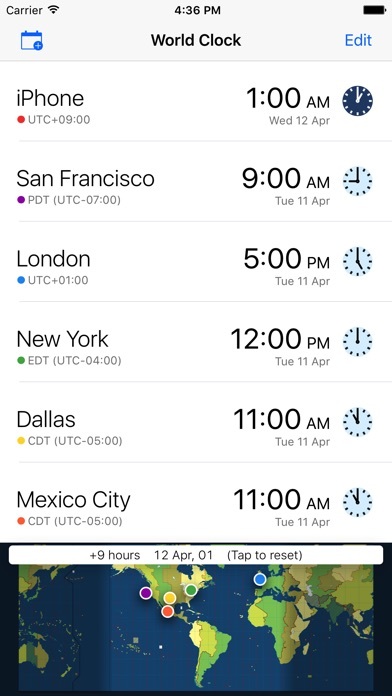 Check the local time for several cities by simply operation. This app is easy to move forward (back) some hours. "What time is it here when it's 9:00 in Tokyo? ", this app lets you know the answer. 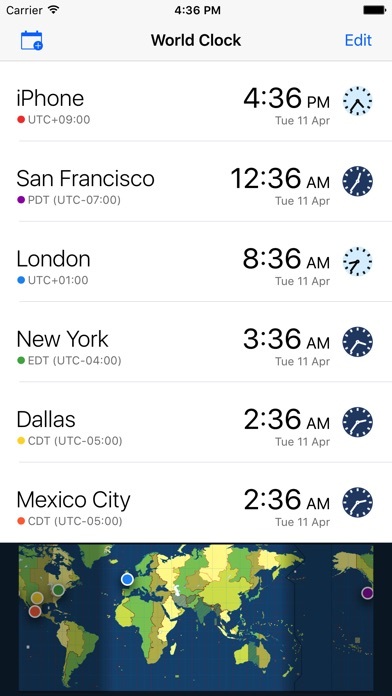 To shift the time, swipe left/right on the World Map. For reset to current time, please tap the map. 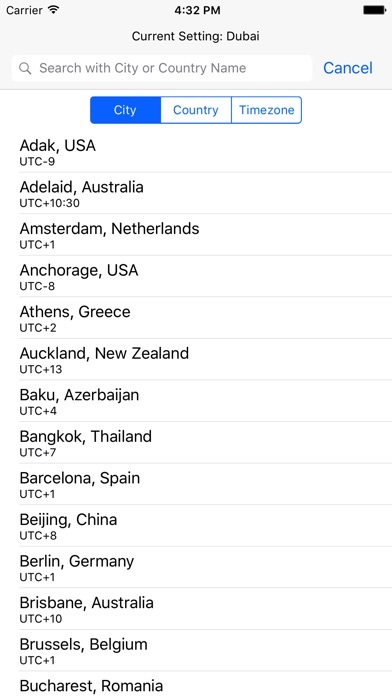 You can choose some city from major cities in the world with a search its name (or region). - Display capital city/UTC/Device Settings times. - Shift/Reset the time by finger gesture. - Add event to the Calendar using App's date-time. - Add 11 cities in Africa. Other Apps by NagisaWorks, K.K.